The philosophy and practices of Krishna consciousness are based on the essence of Vedic teachings—establishing a loving relationship with a personal Supreme Being. The terms "Hindu," "Hinduism," and "Hindu dharma" aren't to be found within Vedic literature. Rather, the origin of these terms can be traced to fairly recent history. Hinduism also generally defines the supreme truth as impersonal, and because it commonly includes the worship of demigods, it is often believed to be polytheistic. So although Hinduism and Krishna consciousness seem to have some philosophical and cultural similarities, they aren't the same. Krishna consciousness is also known as sanatana-dharma, the eternal function of the self, which is the standard spiritual culture outlined in the Vedas. Everyone—whatever their nation of origin and whatever religion they may profess—has an eternal relationship with the Supreme Person, and Krishna consciousness is meant to revive that relationship. As such, Krishna consciousness is open to Christians, Muslims, Hindus, or anyone else wanting a better understanding of themselves and their ultimate source. 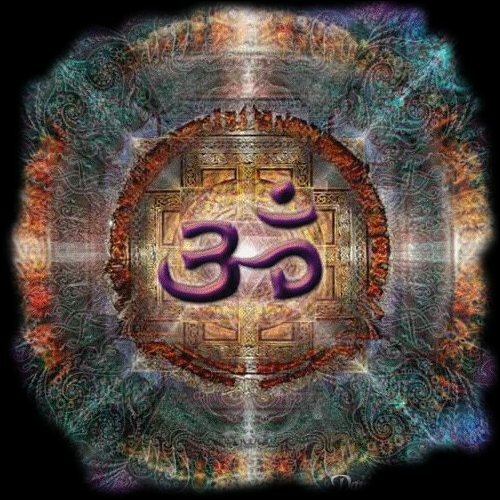 - clearing up some misconceptions about "Hindu dharma" and the ultimate goal of life. - there's a big difference between the religious labels we give ourselves and what we actually are. - there's a lot more to Krishna consciousness than following rituals for the sake of following them. Is ISKCON part of "Hinduism?" - Hindu, Hindustan, Hinduism, Hindi, and even the name India itself, all derive from a term coined by India’s conquerors. ISKCON is something different. - the goal of Hinduism is usually stated to be “to merge with the One.” To a devotee of Krishna, it's a hellish idea. ". . . the teachings of the Vedic scriptures will be distorted in this age. Great universities teach courses on Hinduism in which Indian religion, despite limitless evidence to the contrary, is described as polytheistic and leading to an impersonal salvation. In fact, all Vedic literature is a unified whole, as stated by Lord Krishna Himself in Bhagavad-gita ( 15.15): vedais ca sarvair aham eva vedyau 'By all the Vedas I [Krishna] am to be known.' All Vedic literature is meant for enlightening us about the Supreme Personal Absolute Truth—Vishnu, or Krishna. Although known by many names and appearing in many forms, God is a single absolute entity, and He is a person. But this true Vedic understanding is hidden in the Kali-yuga." "When we are on the material platform, there are different types of religions—Hinduism, Christianity, Islam, Buddhism and so on. These are instituted for a particular time, a particular country or a particular person. Consequently there are differences. Christian principles are different from Hindu principles, and Hindu principles are different from Muslim and Buddhist principles. These may be considered on the material platform, but when we come to the platform of transcendental devotional service, there are no such considerations." "First of all, the Vedic scriptures make no mention of such a thing as 'Hinduism.' but they do mention sanatana-dharma, the eternal and universal religion, and also varnashrama-dharma, the natural organization of human society." "So far as the Vedic religion is concerned, it is not simply for the so-called Hindus. . . This [ Krishna consciousness] is sanatana-dharma, the eternal and universal nature and duty of every living being. It is for all living entities, all living beings. . .The living entity is sanatana, or eternal; God is sanatana; and there is sanatana-dhama, the Lord's eternal abode. . . the Vedic system is called sanatana-dharma, not Hindu dharma. . . The very term "Hindu" is a misconception. The Muslims referred to the Indian people, who lived on the other side of the river Sind, as "Sindus"—actually, due to the peculiarities of pronunciation, as "Hindus." In any case, the Muslims called India "Hindustan," which means "the land on the other side of the river Sind, or 'Hind.'" Otherwise, "Hindustan" has no Vedic reference. . . "Hindu dharma" has no Vedic reference." "This word Hindu is not a Sanskrit word. It was given by the Muhammadans. You know that there is a river, Indus, which in Sanskrit is called Sindhu. The Muhammadans pronounce s as h. Instead of Sindhu, they made it Hindu. So Hindu is a term that is not found in the Sanskrit dictionary, but it has come into use. But the real cultural institution is called varnashrama. There are four varnas (social divisions)—brahmana, ksatriya, vaishya, and shudra—and four ashramas (spiritual divisions)—brahmacharya, grihastha, vanaprastha, and sannyasa. According to the Vedic concept of life, unless people take to this system or institution of four varnas and four ashramas, actually they do not become civilized human beings. One has to take this process of four divisions of social orders and four divisions of spiritual orders; that is called varnashrama. India's culture is based on this age-old Vedic system." "In our Krishna consciousness society there are many who were formerly so-called Hindus, so-called Muslims, and so-called Christians, but now they don't care for "Hindu" or "Muslim" or "Christian." They care only for Krishna. That's all. If you follow a false religious system, you suffer; but if you follow a real religious system, you'll be happy. Unfortunately, the Indian people gave up the real religious system—sanatana-dharma, or varnashrama-dharma—and accepted a hodgepodge thing called "Hinduism." Therefore there is trouble. Vedic religion means varnashrama-dharma, the division of society into four social classes and four spiritual orders of life." Is Krishna a Hindu God?